Update: This deal sold out last time it was on sale on Amazon! My kids love these!! 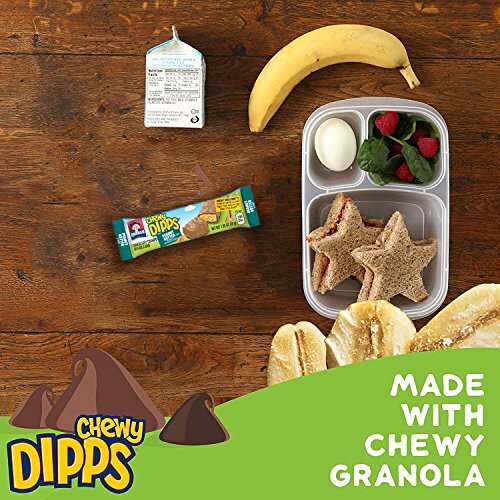 Hurry and get the Quaker Chewy Dipps Chocolate Covered Granola Bars Variety Pack, 48 Count today for as low as $8.63 ($.18/bar) from Amazon when you clip the 20% off coupon & choose Subscribe & Save with at least 5 subscriptions in one month. Prefer one-time purchase? Clip the coupon & pay $10.62. Buy the Quaker Chewy Dipps Chocolate Covered Granola Bars Variety Pack, 48 Count, 51.8 oz from Amazon.